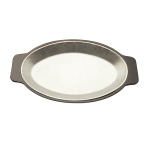 When you have fresh pans out of the oven with piping hot food on them, you need a way to bring your customers the food without burning them or damaging your tables as well. 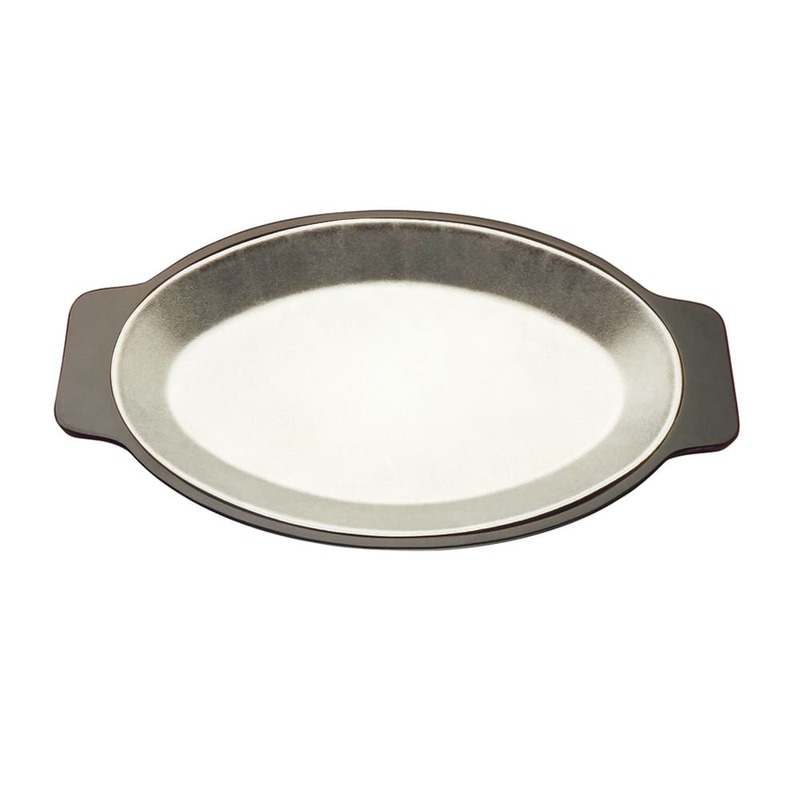 When you purchase the Tomlinson standard oval dinner platter holder, you are ensuring that you can protect both your customers and your tables! Featuring dimensions of 8 in. x 12 in., this Bakelite holder is black in color and built to last for years of high volume kitchen use.